It’s rare that we see two pretty much identical days out on the river, but yesterday and Monday were definitely twins. Ok, so maybe fraternal twins, but still twins. Amid the humidity and heat, we definitely had good cloud cover in the afternoon, with a few gentle storms mixed in just to keep it interesting. Sulphurs and Isos were the name of the game again, with a few people finding fish that were taking pseudos amid big dorthea hatches. I guess after all the alewive gorging, the fish are now on a diet! We are expecting similar conditions today weather-wise, but as always we’ll just have to head out on the water and see! The stormy weather yesterday became quite a pleasant surprise, with cloud cover throughout most of the afternoon, and just a few passing thunderstorms to wait out. The bugs certainly loved it, and were popping all over the Upper West Branch. Down here we were seeing them, but not in as large a number as they had upstream. The fish were active, and definitely less spooky than the day before. Today we’re looking at some pretty similar conditions, with some excellent clouds hanging over us as we speak. With air temps down slightly, we could see even a bigger rush of sulphurs and isos starting earlier in the day. That was more like it! Great hatches of sulphurs and isos popping off throughout the day yesterday, and some of the happiest fish we’ve seen in the last few days, and very few people on the river to boot. Water temps are great, and it looks like the fish have acclimated to the new levels. Today appears to be similar in nature to yesterday, with the air temps more towards the high 70s, low 80s, and some possible storms rolling through in the afternoon, so it should be another good one out there! Well the spill is over, and we are now down to our basic release of about 600 cfs. Great news for all of you waders who have been chomping at the bit to hit the water, but it definitely limits the amount of cold water miles we have to fish. 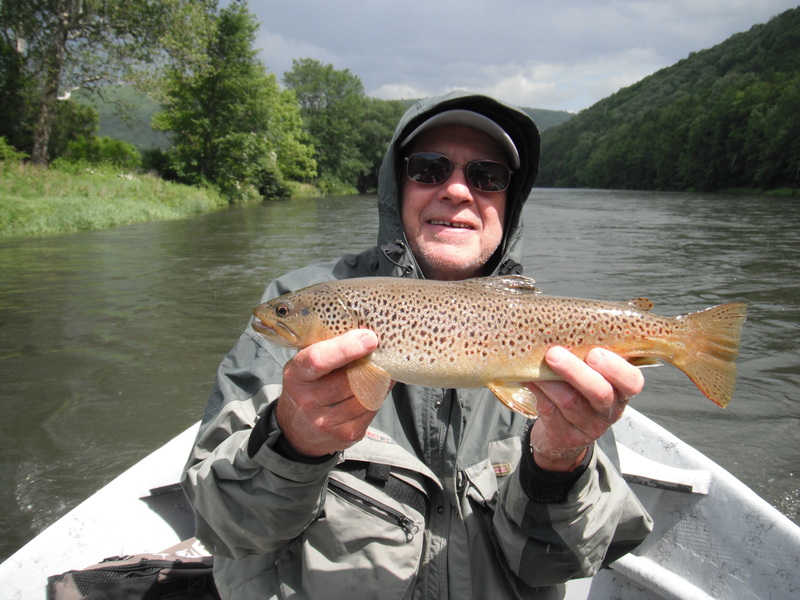 The West Branch will shortly become the only game in town – in other words, summer is truly here! That being said, 600 is a good number, and will keep the water cold all the way into Junction Pool, and should definitely start our sulphurs popping up in Deposit during the mid-day hours. They were out yesterday, but the fish were not overly active, likely a result of the water levels dropping, giving them a bit of a shock to the system. Now that we have stabilized, I would expect that they will be up and at it again for sure! Welcome to the second day of summer! Yesterday we had some unexpected cloud cover show up early in the afternoon, which made for some happy bugs, and hungry fish. No complaints at all there! The hatching did slow down latre on in the afternoon, but picked back up as the day progresed. 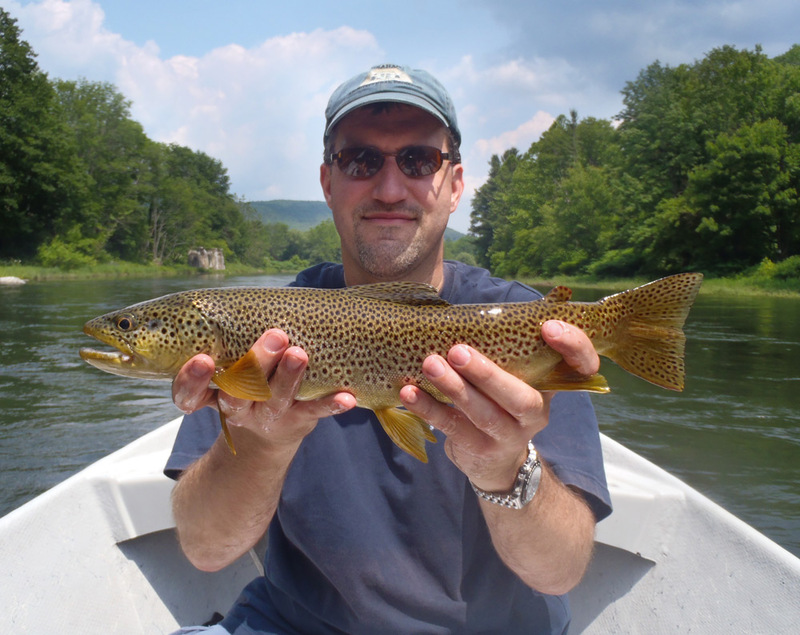 The fish were a bti skittish with the clear skies, but plenty were also taken tossing streamers. As for today, it looks like our spill has finally stopped over the top of Cannonsville, and our release is down to 1,000 cfs. This will produce cool, super clear water, and hopefully jump start our sulphurs up in the No-Kill section. We will continue to have cold water down here as well, but I would not anticipate seeing tons of bugs until later 0n, once the sun has dropped. Bright sun yesterday – lots of it. This definitely slowed the hatching down a bit until evening, but the sulphurs and isos were definitely out and about towards evening, and the fish decided it was time to eat just as soon as they started to come out! Today it looks like the spill over the top of the reservoir has stopped, so our flow right now is completely release water, meaning it is cold and clear, all the way down the West Branch. We have some clouds predicted today, so it looks like we’ll have a pretty similar day today. On another positive note, looking out over Home Pool this morning Jeff and I just saw our first cloud of Tricos for the season. Always a good sight – we’ll keep you posted! Wednesday sure felt like summer up here in the Catskills! Bright sun, perfect humidity and temp. 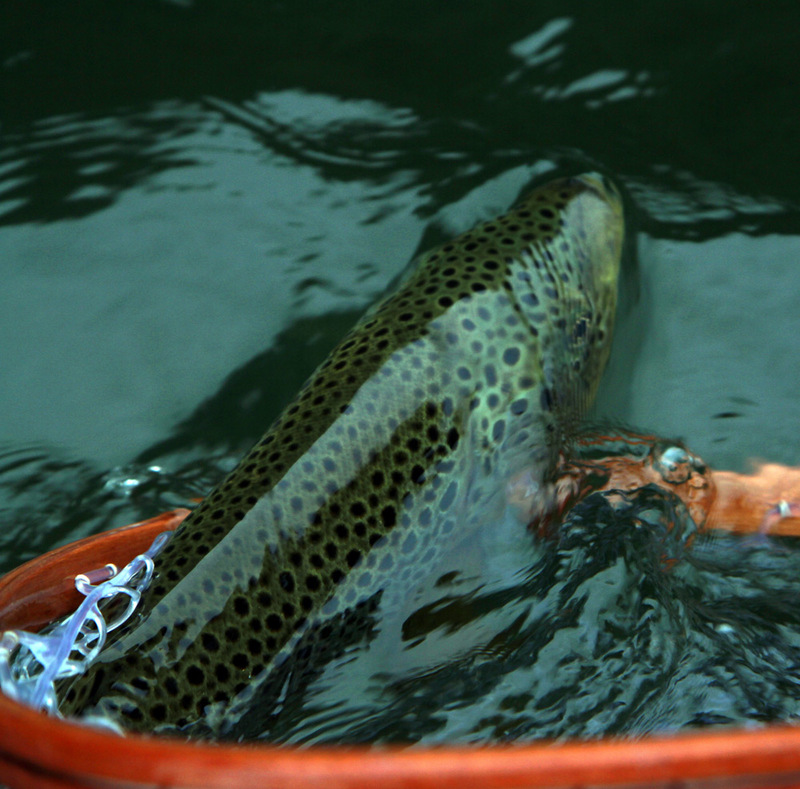 Well, once again not the “perfect” that we trout folk love. That being said, the water was cool and clear, and on the West we had some pretty decent hatching once the sun started to drop behind the hills, mostly Dortheas and Isos, with the occasional larger light Cahill thrown in for good measure. We did have some steno spinners on the shop wall this morning, so there is still good chance for a fall tonight. 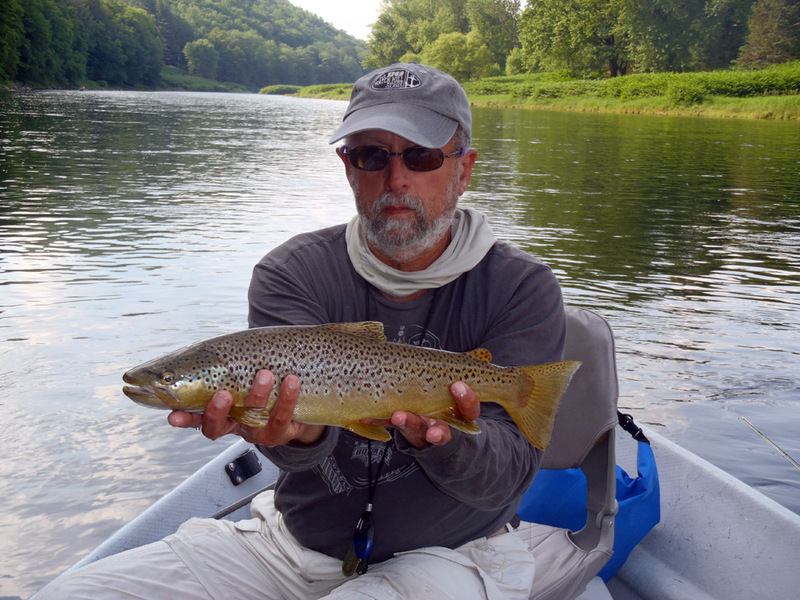 We are looking at a carbon-copy or yesterday for today, so I would expect the river to fish the same – decent in the morning, followed by an OK streamer bite, and then good hatching again in the evening. If we do see a bit more cloud cover (which there is a chance of), then we’ll be in good shape. The cloud cover yesterday did wonders for the dry fly fishing! 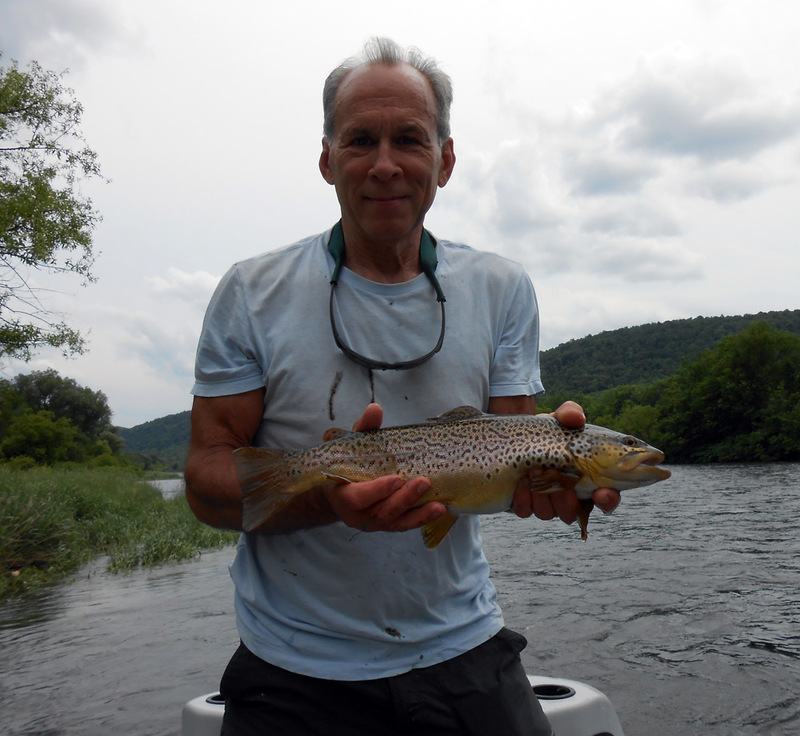 Up river on the West Branch (Deposit down) had great hatches of both Isos and Dorthea throughout the day, with some really nice fish taken. There was hatching down below Hale Eddy, but it was definitely more sporadic until we got closer to dark, which then saw a little bit of bug soup with Cahills and BWOs thrown in the mix. If you could find the fish, they were looking for them! 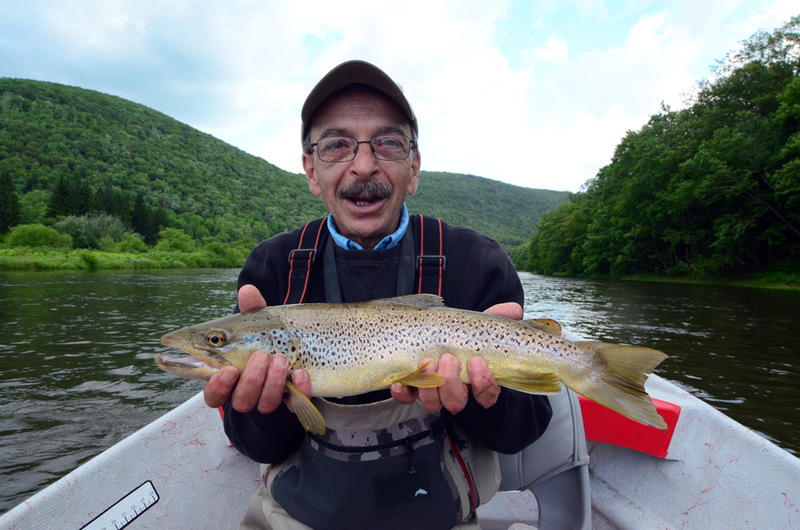 Otherwise, the streamer bite was definitely still in effect as well, up and down the river with Alewives still coming in from Cannonsville. Today we’re looking at a beautiful (for the non-fishing world) day, with temps in the low 70s and mostly sunny skies. This will likely depress our dry fly action until later in the day, and may slow the streamer activity down a little, but once the sun starts to head down, it is going to be great out there! 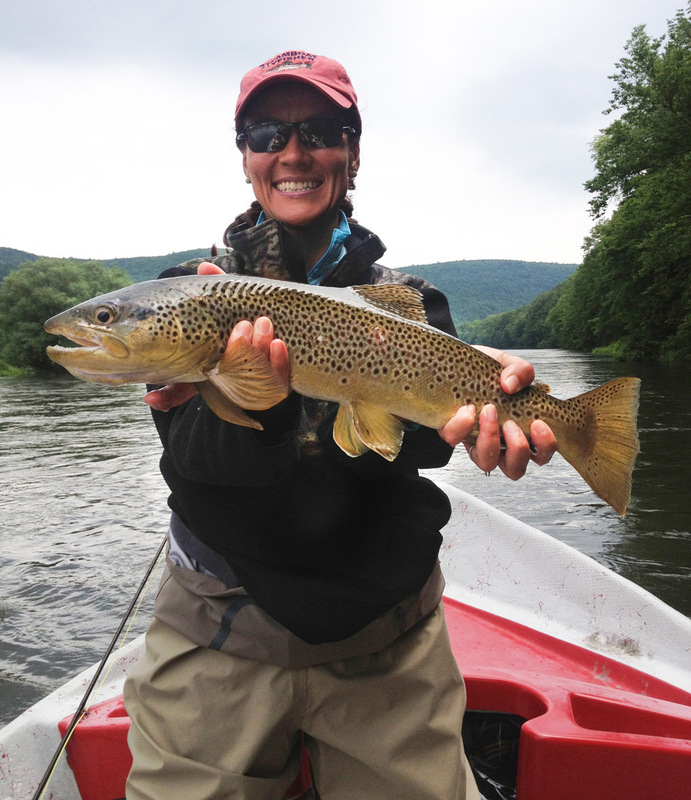 The streamer bite was definitely in full-swing yesterday, so long as the clouds were passing overhead. During the sunny part of the day, the fish were a little less eager, but could still be had. There were also good flushes of Isos during the day, and if you were lucky enough to find them, good fish were feeding with reckless abandon! While there were good flushes of sulphurs in the evening, the fish did not seem to key in on them, preferring to keep munching on nice, big Alewives floating down the river! The release from Cannonsville is also up to 1,500 cfs, so our water will definitely be cool for the foreseeable future, and spillage should last for several more days. Despite the great cloud cover yesterday, the bugs just did not materialize as we expected them to. 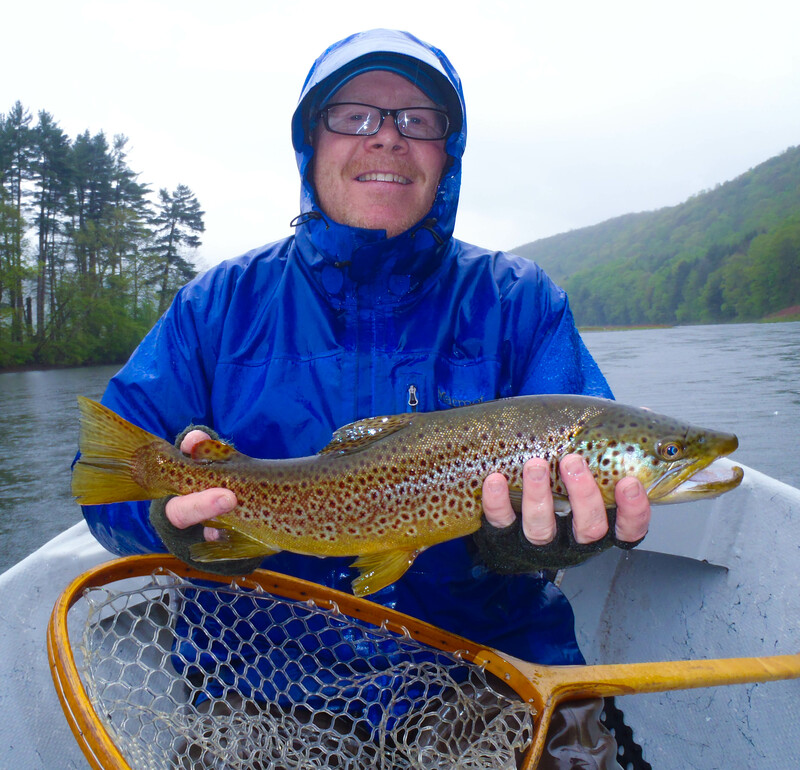 There was a flurry around 6PM, but otherwise the fish were content to EAT ALEWIVES ON TOP. Yes, you read that right, we had dead alewives on the surface, and you would see fish exploding on them almost all day. 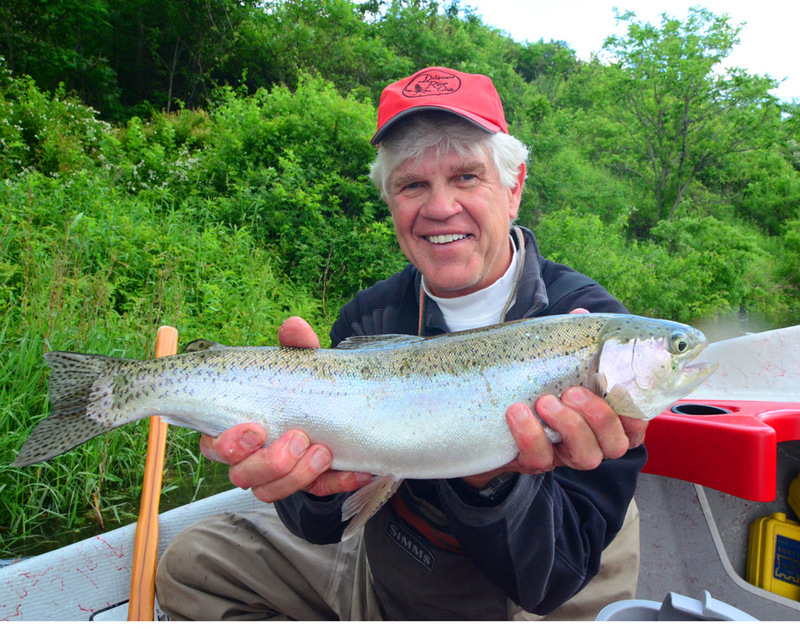 A quick retrieve with a white or grey streamer was the ticket, as evidenced by George’s photo below. So from that end, it was amazing out there. Today we are looking at a warmer version of yesterday, possibly with some more sunshine and a t-storm thrown in for good measure. We’ll see what actually materializes. Steady, high flows. Who can believe that we are actually in mid-June? And yesterday, it produced some absolutely epic streamer fishing, even in the bright sun! 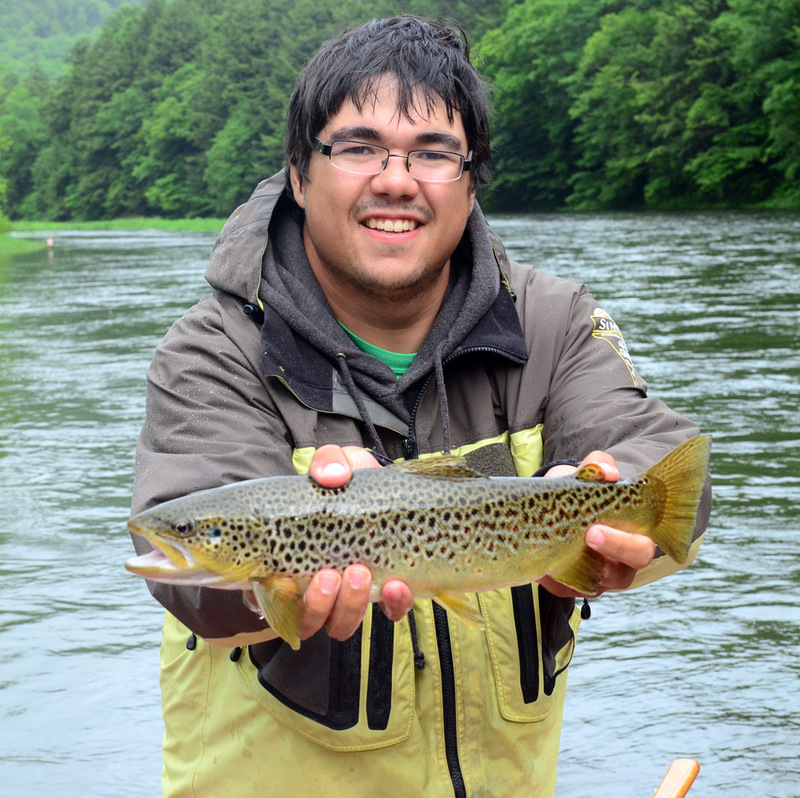 With a big flush of Alewives flowing through the system, the fish definitely took advantage. 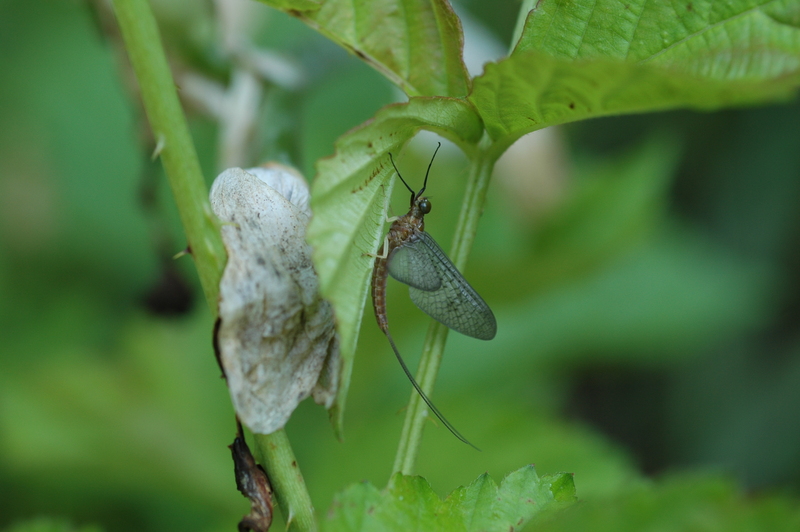 The good news is that we had dry fly activity as well, but only right towards dark – not exactly surprising with the bright sunshine we had throughout the day. Today, we’ve got scattered clouds and the occasional thunderstorm on the horizon, so we could see bugs during those breaks from the sun. The fish are there, and even though we remain high, they are eager to feed! As we thought yesterday, the water definitely cleared up, but certainly did not drop significantly. The West Branch at Hale has been holding steady around 3,000 cfs since yesterday morning, and looks to be doing the same for the day today. The amount of water coming over the dam is gradually increasing as the big push from Walton makes its way down. This will settle as the weekend progresses, and we will start to see the flow decrease in a more normal manner. 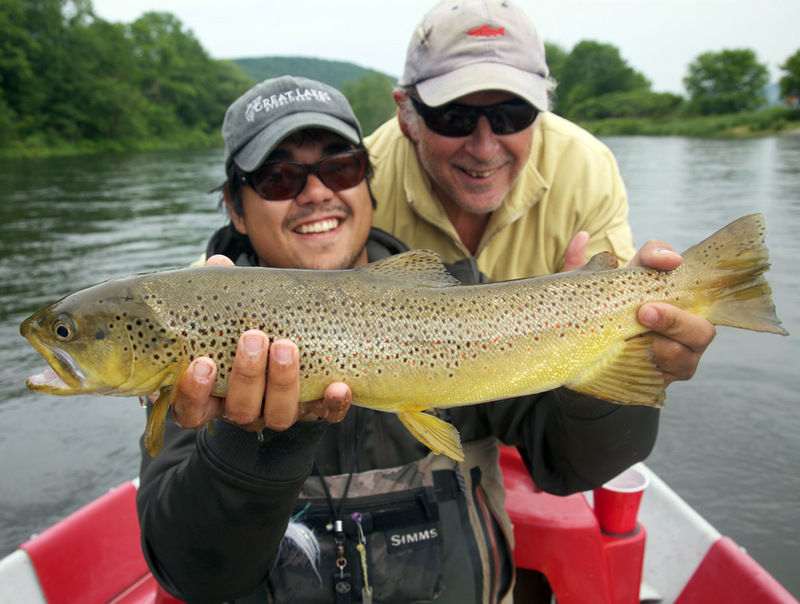 That being said, if you have a boat, now is a GREAT time to head out with streamers. It was a pretty decent day out on the West yesterday, and with the clarity improving, it can only get better today.